Are the FBI’s Main Suspects Innocent? 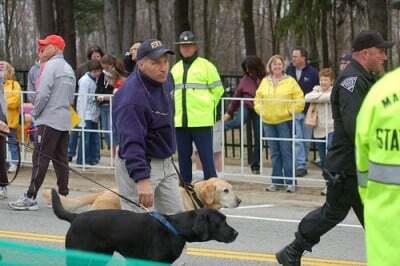 The FBI – as well as Internet sleuths at Reddit and 4Chan – have analyzed photographs from the Boston marathon to help identify the terrorists. Zaimi and Barhoum are both Moroccan immigrants. Zaimi graduated from Revere High School outside of Boston, and Barhoum – who works at Subway – is currently a student at that school. Barhoum calls Zaimi his “track coach”. They both vigorously deny that they are the bombers, and have turned themselves in to investigators in order to clear their names. Federal law enforcement sources told ABC News they are no longer seeking information about Barhoun or the other man in the photo published in the Post.